After announcing a few months back that Amazon's Sound Cloud can now be synced to play music with Apple products like iPod Touch, iPhone or iPad in selected Ford cars models, Amazon today announced the release of a dedicated Cloud Player app for PC users. The difference with this Cloud App player is that users can now access their music when they are offline as well. 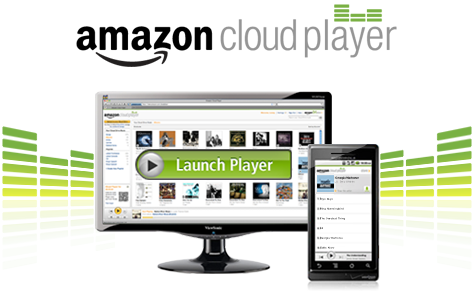 If users and readers were to recall, Amazon launched its Cloud Player two years ago as a music player that could play your music anywhere you wanted. But the notion of playing music anywhere remained off target for Amazon until now. But with the dedicated PC app, Amazon has taken a step towards achieving their two year old claim. While users could access their Cloud Player accounts via a browser before, the dedicated PC app will now allow users to access their playlists without the need of Internet. The PC application allows you to store your purchased music on your desktop. Cloud Player comes with a added advantage of being able to scan your hard disk for music which has not been uploaded to Amazons storage locker yet. The PC App will have a limitation of uploading only 250 songs without purchasing them from Amazon. But users have the option of uploading an unlimited number of Amazon purchased tracks, as well as the above mentioned non purchased tracks into their Sound Cloud storage locker and wirelessly playing it on any Amazon player for free. It will be interesting to see whether this Amazon experiment succeeds because you can save unlimited songs on your hard disks anyways and with smart phones as popular as they are! Please write in your comments on what you think about this App.